Richard Carew was born on 17th Jul 1555 to Thomas Carew and his wife Elizabeth in Antony House, Cornwall. He was educated at Christ Church, Oxford and later Middle Temple. In 1594 Carew made a translation of the first five cantos (long poems) of Tasso’s Jerusalem Delivered and he also went on to translate Juan de la Huarte’s, Examen de Ingenios, a book that attempted to relate physiology with psychology the first of its kind. Carew married Juliana Arundell in 1577 and they went on to have seven children including Richard. In 1581 Carew was appointed a Justice of the Peace and later in 1583 and 1586 Carew served the crown as High Sheriff of Cornwall and also acted as a Member of Parliament for Saltash in 1584 and in 1597 for St. Michael’s. 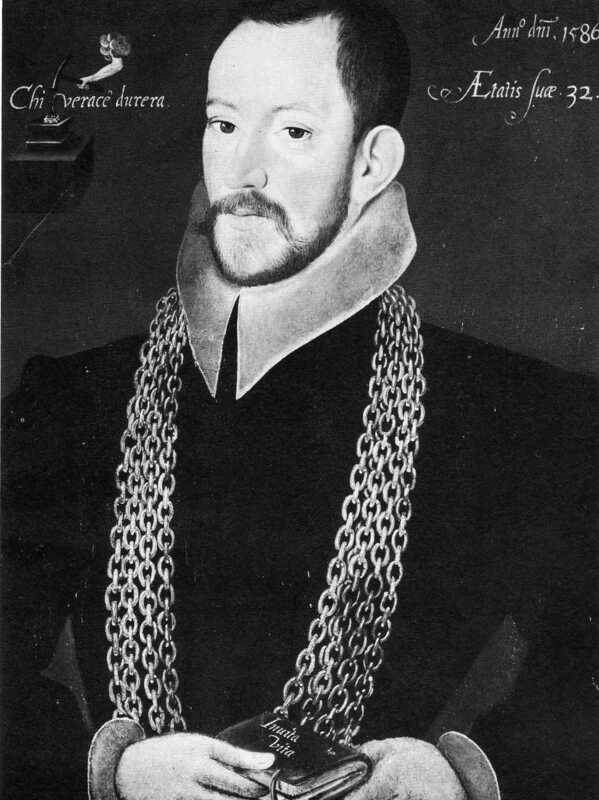 Carew also served as treasurer of the lieutenancy and colonel of the regiment, serving under Sir Walter Raleigh. Carew would go on to be a member of the Elizabethan Society of Antiquaries, in 1589, an English Academy that promoted learning with the backing of the monarch. They would also debate and discuss important issues including the succession to Elizabeth’s throne. Carew also published a survey of Cornwall in 1602, only the second county history to appear in print in England. Carew died on 6th Novemeber 1620 at Antony House and was buried the following day in Antony Church.